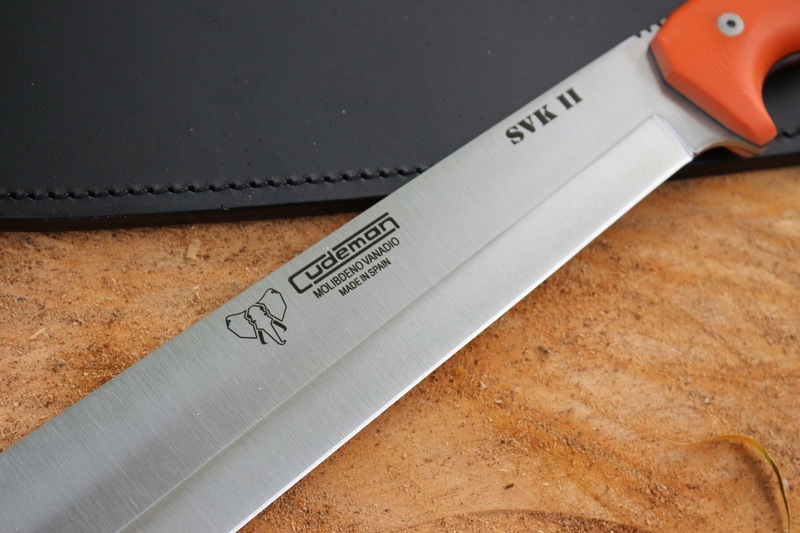 Quality Compact Machete from Cudeman of Spain. 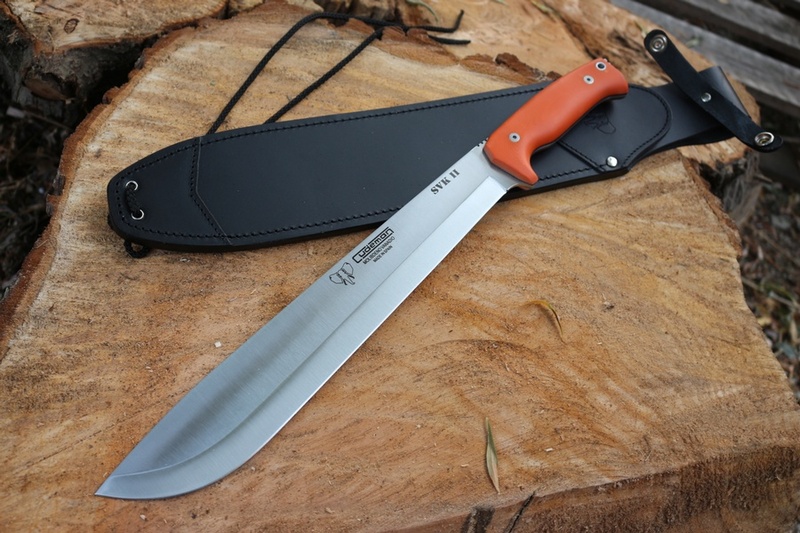 This 12in bladed Machete is an excellent tool for the Bush, having a 3mm thick Vanadium Steel Sabre ground blade, solid G10 handles, extended tang and excellent weight forward balance. Its a strong, well made tool, full broad tang and with a tough and stain resistant steel. Excellent compact machete, comes with quality leather shyeath. 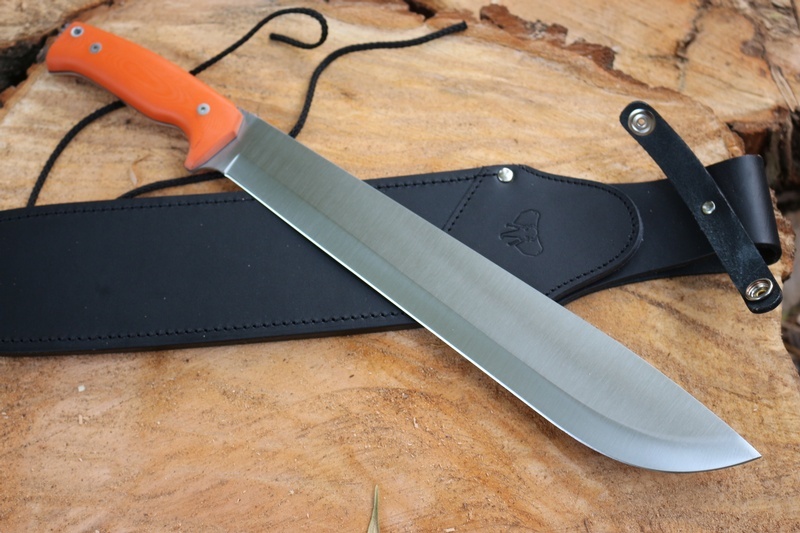 Purchase through PayPal by using the "Add To Cart" button above or use the form below to order the Cudeman Compact Machete Orange G10 . 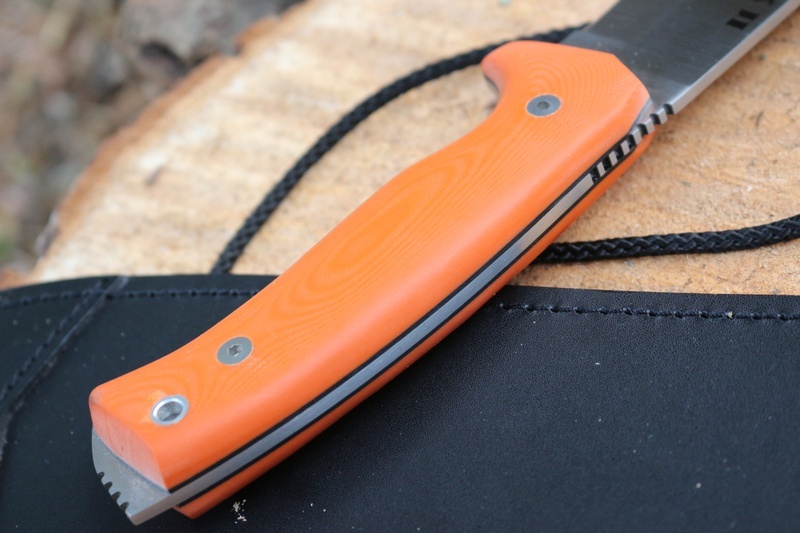 Feel free to contact us if you have any questions about the Cudeman Compact Machete Orange G10 .